Tim Boer, CPA — Kamp & Boer, P.C. Tim strives to combine practical experience, academic knowledge and technological solutions to both properly serve a client in the present and help them plan for the future. Tim has always been tied to the Chicagoland area. After graduating from Illiana Christian High School in 1999, he attended Calvin College for three years. He then moved back to the area and finished his college education at Trinity Christian College in December 2003, earning his Bachelor of Science in Accountancy. He went on to successfully pass all four sections of the CPA exam and received his license in November 2005. 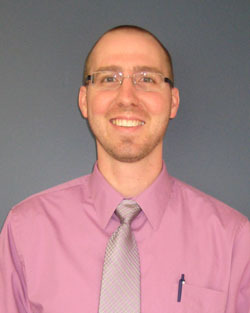 Tim started practicing public accounting full time in 2004 in South Holland, IL and began with John Kamp in August 2005. In January 2014, he and John became business partners. Tim is thankful for the wide range of work experiences he has had. He has worked with corporate and individual taxes, audits, payroll taxes, and financial statement preparation. Tim has served as President and Treasurer of Providence Christian Academy, as President and Treasurer of the Deacons of Oak Glen United Reformed Church, and as Secretary of the Calvin Christian School Foundation. Tim is currently licensed by both Illinois and Indiana. He a member of the American Institute of Certified Public Accountants. He is also a QuickBooks Certified ProAdvisor.